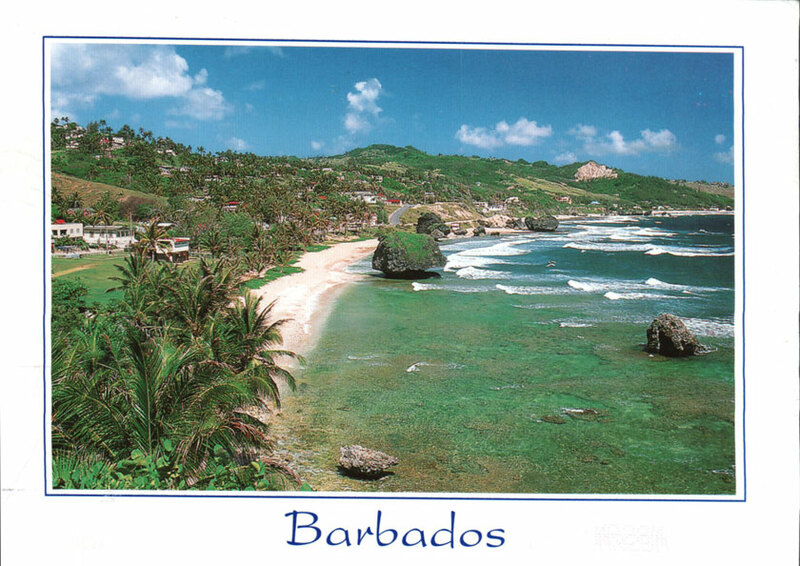 Postcard sent by my parents from Barbados, an island stop on a cruise trip. Highlights of their trip included “the beach at Magens Bay, St. Thomas which National Geographic rates as one of the top ten beaches in the world [with] lovely white sand and turquoise water”. I know it’s slightly sadistic to post pictures of tropical islands while I’m living in Toronto at the end of January, but sometimes the fantasies are nice! Click here to see where this postcard fits with all of my other postcards on my Picturing Postcards Google Map.